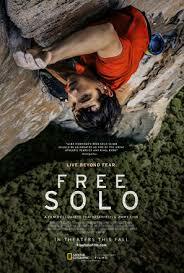 Review: A documentary about Alex Honnold who became the first person to ever free solo Yosemite’s El Capitan. One incredible documentary. I could not believe what I was watching it was all so breathtaking. It didn’t look possible to do. The visuals/cinematography are very stunning. A very thought provoking film in so many ways. I do wonder what is next for Alex Honnold. Definitely one to watch! At the Academy Awards in 2019 this won an Oscar for Best Documentary Feature. At the Bafta Awards in 2019 this won for Best Documentary.